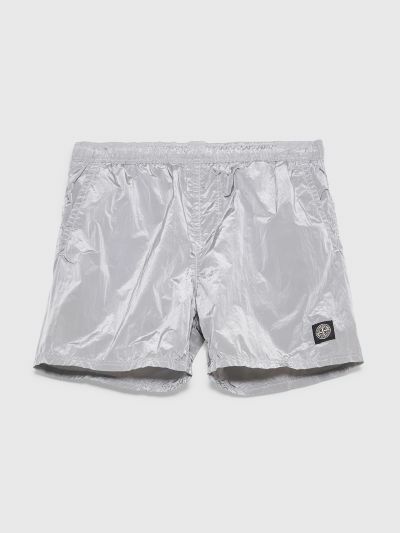 Swim shorts from Stone Island made of garment dyed nylon. 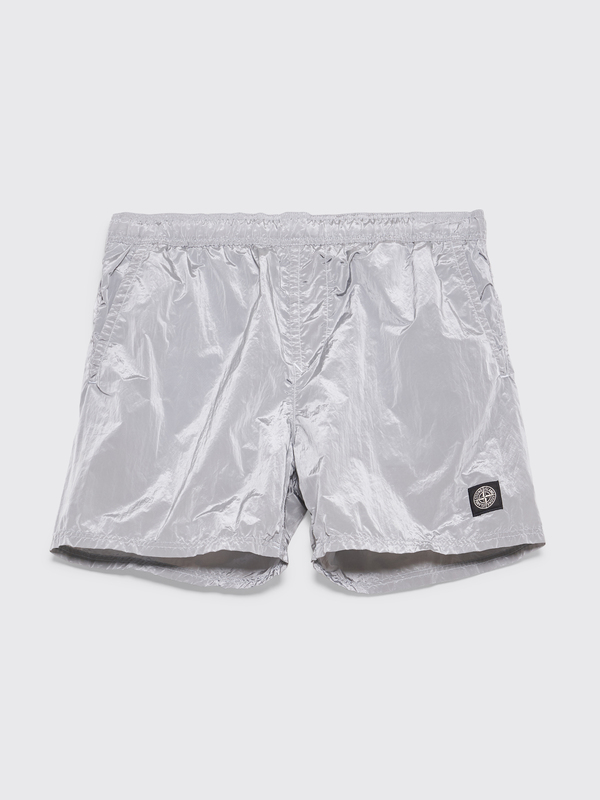 Waistband with drawstrings and two slanted pockets on the front. Logo patch on the left leg. One back pocket and mesh lining. 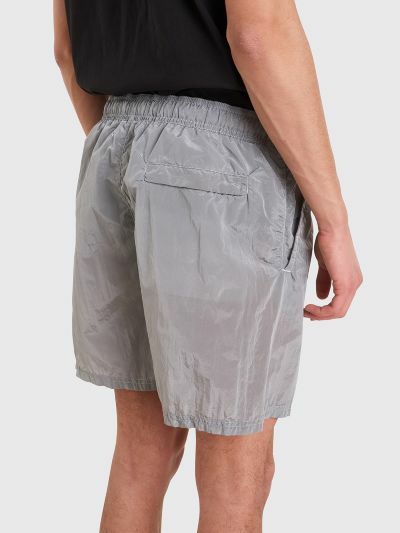 Grey swim shorts. Made from 100% nylon.